Should you observe behavior that you feel is unsafe, harmful to wildlife (for example harassing the loons), or generally harming the environment CALL the Maine Warden Service at 1-800-228-0857 24 hours/day, seven days/week. Even if they cannot address a specific concern, they do track trends and will patrol the lake if needed. You are on Watchic Lake in Standish ME. MIDAS number 5040. 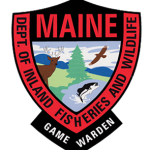 The Maine Warden Service is committed to the citizens, visitors, and natural resources of Maine.